Application Form For New Village level Entrepreneur (VLE) Universal Health Protection Scheme is coming soon through LMK Portal. VLE's can charge only Rs. 10/- Per online Registration from citizen, All VLE's are advised not to charge extra amount from citizens. Dear VLEs, It has been observed that some of the electricity bills deposited by VLEs are posted in the HPSEBL database due to which some consumers are getting repeated bills in the next billing cycle. We are resolving the issue with HPSEBL and same will be rectified within 72 hours. Penalty imposed by HPSEBL due to this problem will be taken care of.
" 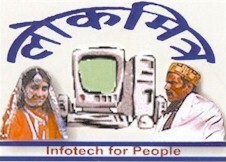 Please Collect computer generated payment receipt after availing services of LMK." " Do provide payment receipt generated through LMK portal to citizens. Any VLE found voilating this instruction would be considered as breach of policy and action would be initiated against them. "